Texas. It&apos;s 267,000 square miles of amazing opportunities and unforgettable destinations. Whether you need to discover a great vacation spot for a client or an inspirational location for your next convention, Texas is the perfect place. For big business or big fun, there’s no place like the Lone Star State. A visit to Texas is always exciting. Why? Because there’s an adventure around every corner. 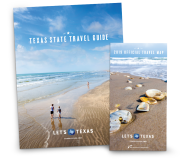 And the best way for you to plan Texas-sized adventure itineraries for your clients or groups is to use our Texas Tour & Meeting Guide. It’s packed with useful information about the variety of unique destinations you can find here. Send your travelers to our bustling urban centers with world-class attractions, hotels, resorts, dining and shopping. Or how about exciting festivals, historical attractions and the best birding in the nation? For a more relaxed setting, head to a small town, visit our beautiful state and national parks, and settle in at a country inn, dude luxurious golf resort or spa. No matter what you’re looking for, for leisure or business, you’ll find it right here in Texas. 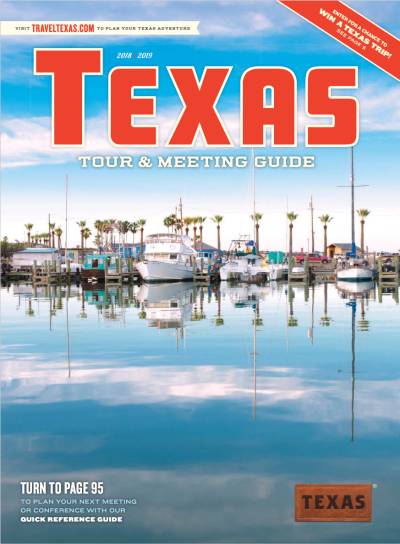 For the Texas Tour & Meeting guide, view online or download here. Alternatively, you may order a copy by completing the form below. Please take a moment to answer our brief questionnaire below. Thank you.